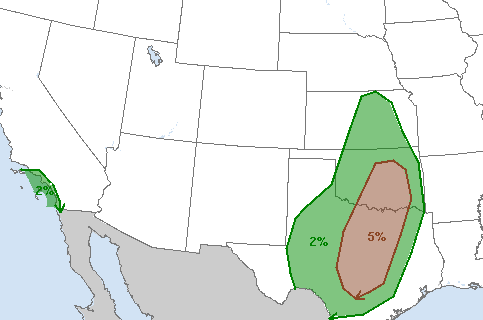 Tornado season in the Plains begins today. Here is the Storm Prediction Center's forecast of tornadoes this afternoon and tonight. 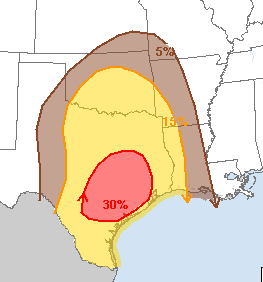 The significant risk is in brown (5%). There is a very small, but non-zero, risk in Southern California and as far north as the KS-NE border. For Tuesday, the all modes of severe weather (hail and damaging thunderstorm winds, as well as tornadoes) map shows the highest probabilities in south Texas. So, the normal cautions apply!